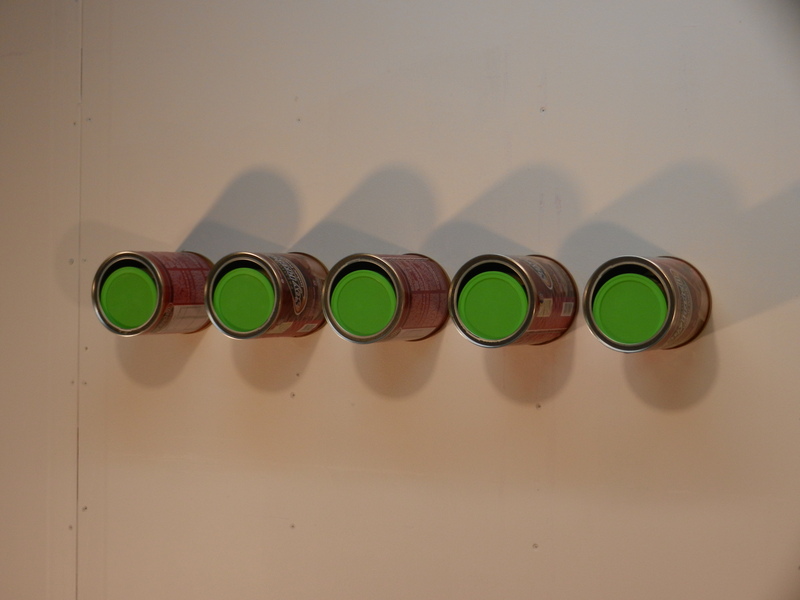 Donald Judd has illegitimate son? | Où sont mes pantalons? Corpus Christy, Texas – July 2014 Minimalism is perhaps not quite dead but rather has morphed into a moribund post-modern phase prior to its ultimate demise. Ronald0 Gutierrez, rumored to be the illegitimate son of minimalist sculptor Donald Judd, is currently exhibiting a small group of sculptural installations at View of a Room, a small, city funded art space in Downtown Corpus Christy. These works, while highlighting the original hubris of the minimalist movement, can also be viewed as satire. 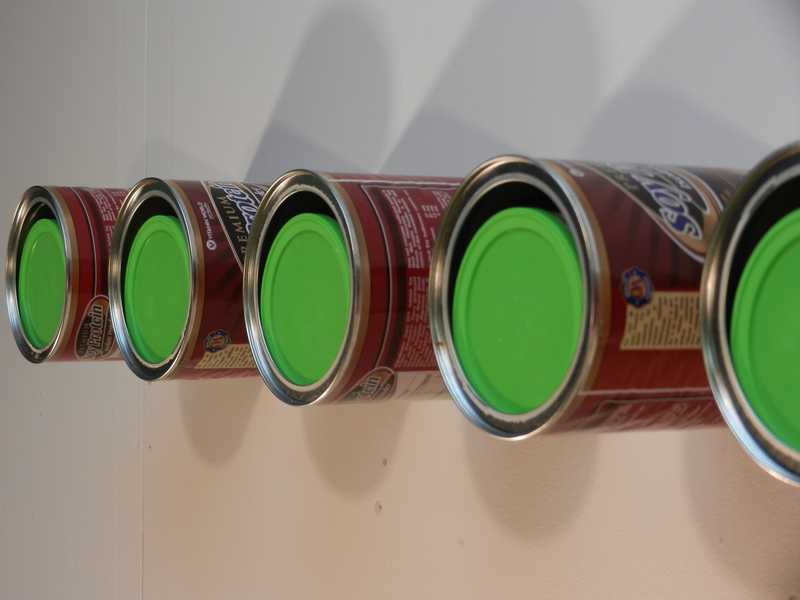 Gutierrez eschews the use of rectilinearity, so much a part of the minimalist canon, while the use of recyclable materials comments on the link between minimalism and wealth that has developed despite protestations that one goal of minimalist artists is to escape the commodification of art brought on by the commercial success of galleries and auction houses in the post war U.S. Mr. Gutierrez’s work may be seen until July 30. 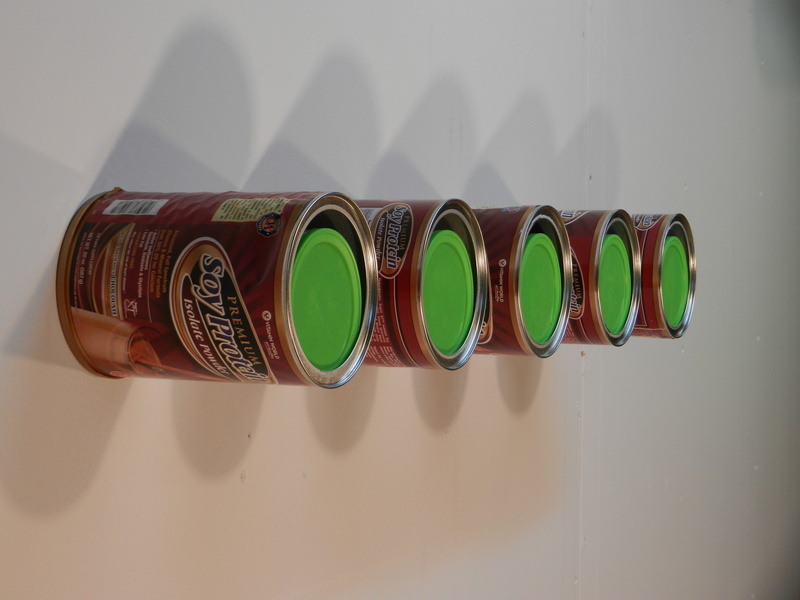 This entry was posted in Uncategorized and tagged art, chaos, Donald Judd, dyspepsia, dyspeptic, humor, Minimalism, recycling, satire, sculpture, soy protein, systemic art, West Virginia, yearning. Bookmark the permalink.